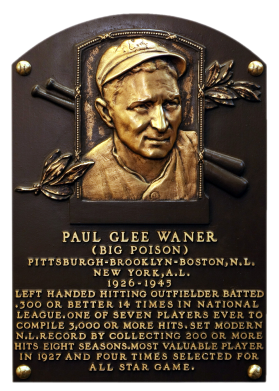 "Big Poison" didn't settle for hitting singles like his little brother; 905 of Paul Waner's 3,152 career hits were for extra bases. He led the NL in hitting three times, peaking a .380 in 1927, when he led Pittsburgh to the pennant and was named league MVP. 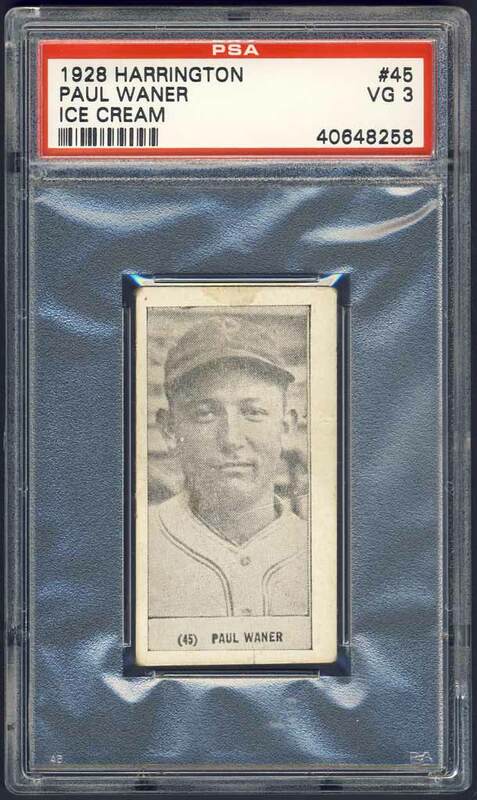 Waner retired with a .333 batting average, 605 doubles, 1,626 runs scored, and 1,309 RBI. When Lloyd was inducted, the Waners became the second brother combination to be so honored, after the Wrights. Comments: In April, 2002 I won an eBay auction for a 1936 Goudey PSA 8 (MC). 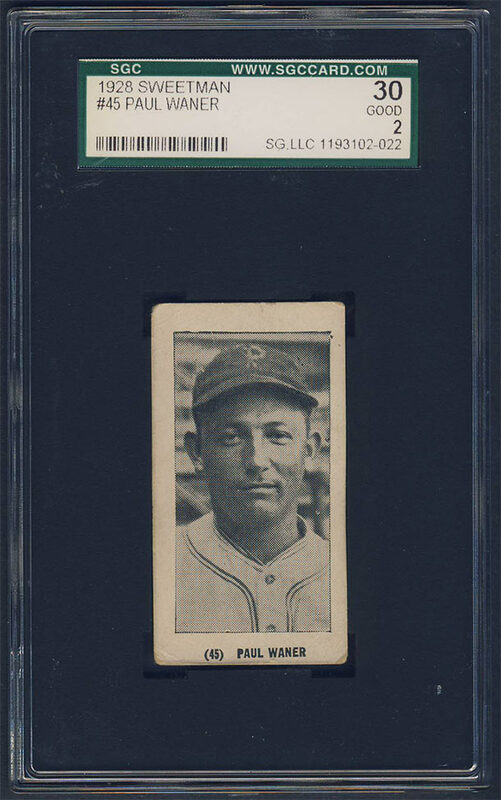 I swapped the card out for a 1928 Sweetman SGC 30 card with another eBay win in March, 2003. I listed the card on my website for 3X my buy price (approx. $100) and the card sold. So, I went back to the '36 Goudey issue and picked up a PSA 6 on eBay in March, 2004. I swapped it out for a 1928 W502 SGC 70 in March, 2005 with an eBay win. I finally settled on this 1928 Harringtons card in March, 2008 after winning an eBay auction from seller Dave Schrader (Bagger's Sportscards). 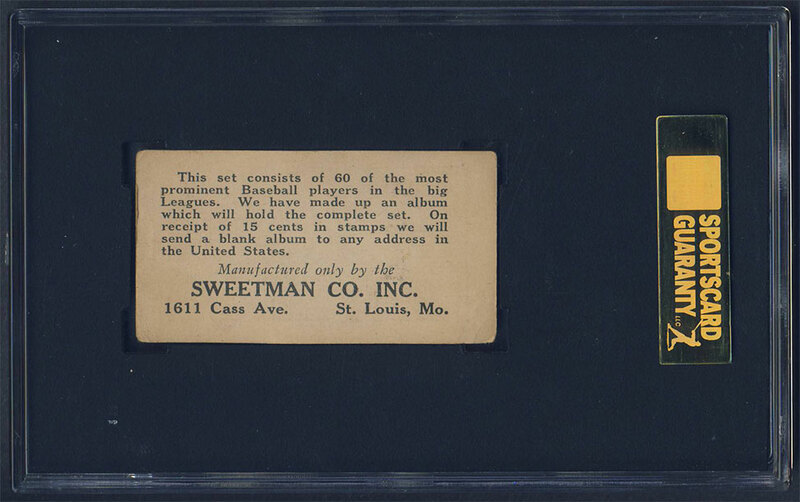 To this day I regret selling the Sweetman example - an extremely difficult issue. 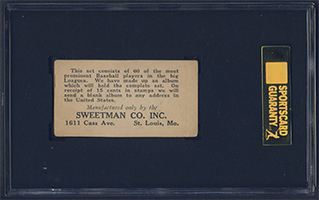 The same Sweetman card I owned sold in a B-L auction in 2012 for $400 (click here - ouch!!!). Description: Sharing the same format and checklist with several other (Tharp's, Yeungling's, Sweetman, etc.) contemporary ice cream sets this 60-card set includes all of the top stars of the day. Cards are printed in black-and-white on a 1-3/8" X 2-1/2" format. The player's name and a card number appear either in a strip within the frame of the photo, or printed in the border beneath the photo. 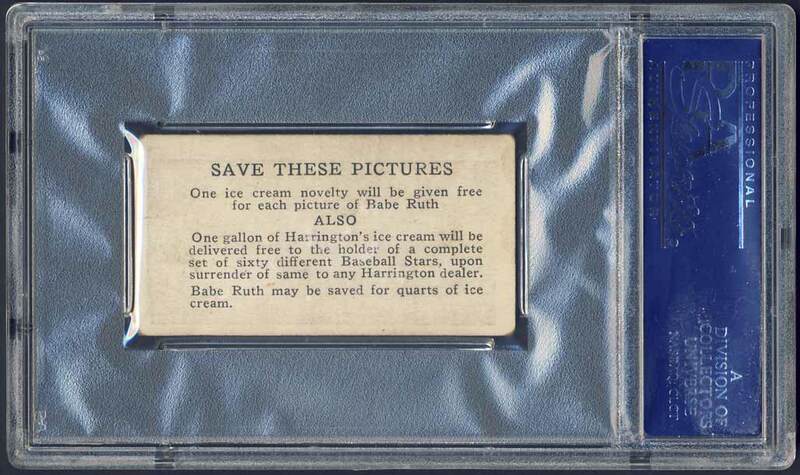 Card backs have a redemption offer that includes and ice cream bar in exchange for a Babe Ruth card, or a gallon of ice cream for a complete set of 60.